An update to Vol. 1, pp. 161–173. As part of the development of the site by the National Parks Authority from 1993 to 1995, the well on the southern slope and the water supply system on the northern part of Tel Beersheba were excavated. 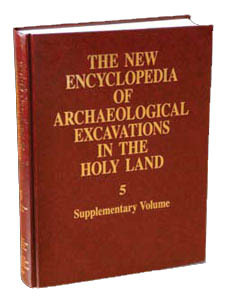 The excavations were directed by Z. Herzog of the Institute of Archaeology at Tel Aviv University. The well, 1.8 m in diameter, was found outside the line of the city’s fortifications at a depth of 2 m below ground. Down to a depth of c. 5 m, the well was hewn through layers of conglomerate and lined with dressed limestone slabs. The lower part of the well was hewn through chalk. The excavation continued down to 1 m below water level (reached at a depth of 69 m) without reaching the bottom. This well was hewn into the tell’s southeastern slope in the Iron Age, around the time the site became a permanent settlement. It served as the main water source for strata IX to VI (tenth century BCE). When a fortified city was first built on the site (stratum V), the well was left outside the fortifications. Clearly, the well was the only abundant source of water for the city and served both its inhabitants and visitors. It remained in use through the Iron Age II and to the end of the Hellenistic period. During the second season of excavations (1970) a wide staircase was discovered on the northeast end of the tell. Y. Aharoni was of the opinion that this was the beginning of a spiral staircase belonging to a water system similar to those at Megiddo, Gibeon, and Hazor.